The band lix was created in November 2009 with former Wednesday member Ryu on vocals, ex-THE. GOLDEN SPIDERmember Yasuhiro, ex-SUICIDE ALI member Yuu on guitar and former Wednesday member Sho on drums. On February 3rd, they released their first maxi-single Noah through Starwave Records. The band played a few lives in Japan and participated in the event Darkest Fest. On July 28th, the band released a second single, entitled Seimei no syuen. After the release of a third single The swallowed world, the band took a new turn with Ryu, Yasuhiro and Sho’s sudden departure at the end of September 2010. 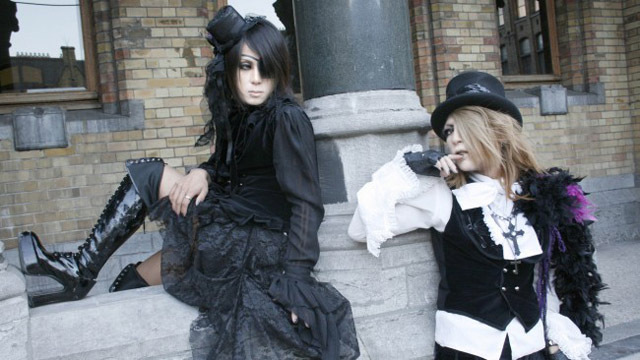 The band changed not only their name from a capitalized version of lix to a lower-cased version, but also continued as a duo, with Yuu still on guitar and Chihiro who joined the band in October as vocalist. Despite the large change in the line up, the band continued full force and even made their American debut with a performance at the convention Tekkoshocon in January 2011. It soon turned out that they had even more overseas ambitions as they announced a complete tour in Europe. This tour took place in April and May, taking them to countries such as France, Switzerland, Russia, Germany and more. During the tour, lix released their first release as a duo: the mini-album SICKS RAIN.